We don’t post about general blogging very often here but after a full year since we started Two Cameras and a Bucket List we thought we would share with you what we learned in the process that took us from rookie bloggers to… a bit less rookie. Nobody said blogging is easy. You know that and we knew it when we started back in April 2015 due to our passions for both travelling and photography. At that time we just wanted to get out there as fast as possible and we started building our blog diving head first. I have to say that we learned to answer our embarrassing rookie questions the hard way and this post is only a short list of some of them. Of course we haven’t discovered anything new here, at least not new for the more experienced bloggers but we wish we had known all these answers before and hope you’ll find at least one or two useful tips here to get you started. Question #1 – What do I need to start blogging? You might want to start blogging simply to practice your creative writing or even to share your experiences with your big family spread all over the globe. Or you might be serious about it and plan to blog for a living or at least to complement the pay of your day job. If you just want to blog for fun, then you’re good to go. But if you see a business opportunity here, you better take some time before doing anything and think about what market group you want to target. And here I’m not talking about something like “people who like traveling”, you need to be far more specific and original than that. Maybe something like “solo backpackers in Asia” or “adventurous couples travelling together” or even “families with kids traveling around Europe”. TIP: Don’t forget to research your niche to make sure you’ll not be facing too many competitors. After that, you can go ahead and get yourself an account in your preferred hosting service, install a blogging platform on it if not already there ( more on this next) and start designing your own blog. And in no time you’ll be planning your content, researching, sharing your stories and thoughts and growing that audience, if this is your goal. Or you’ll be posting for your family and friends to see that gorgeous sunset on the other side of the world. 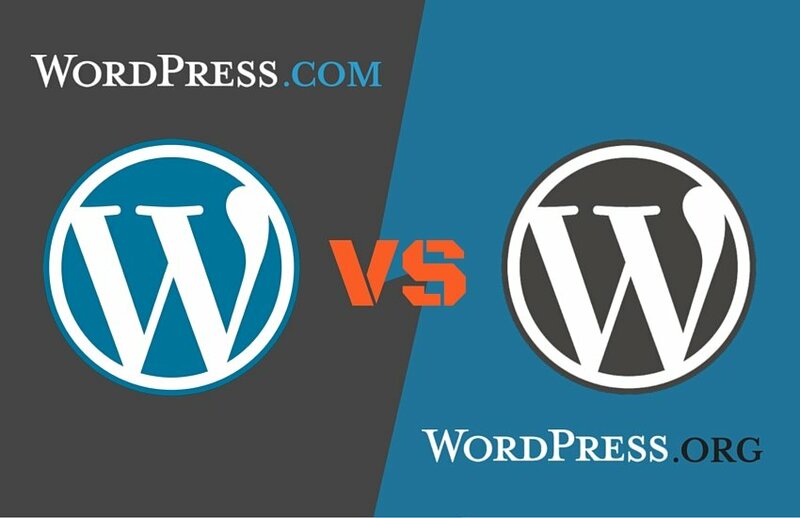 Question #2 – WordPress.com vs. WordPress.org? This is the eternal question for all of us out there starting with WordPress in the blogging business. Which one is the best? Will WordPress.com be enough for me? Will WordPress.org be worth all the hassle? Or even… what the hell is WordPress!? 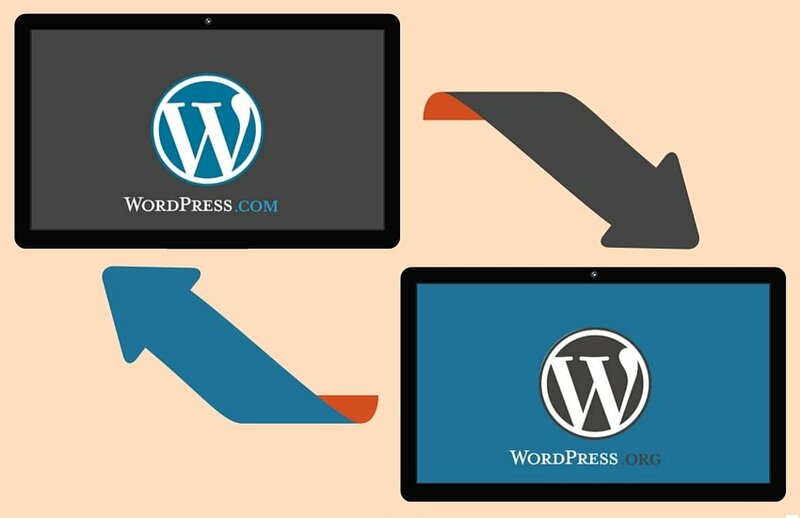 WordPress is one of the most popular blogging platforms available nowadays if not the most popular, closely followed by Tumblr, Blogger, Medium, LiveJournal and other big internet names. And it even comes in two flavours! On one side we have WordPress.com. WordPress.com gives you 3GB for free on their servers (with ads displaying on your web page of course) and makes regular backups of your site. As a downside, WordPress.com offers limited monetisation and customisation possibilities by default. Yes, a tonne of themes are available but if you want to customise them through CSS you’ll have to upgrade your plan to a paid one. On the other side, WordPress.org is totally free and fully under your control. You can customise the front end and back end without limits through plugins and use any monetisation strategy you find convenient. Too good to be true? Well, in this case you will need to administer the site by yourself (install updates, fight spam, make regular backups,… Not too much effort, I tell you) and pay for a reliable web hosting service with outstanding support available when you need it. Check out this post at wpmudev to find out which one is for you! In our case, we were so eager to start our blog so decided to go with WordPress.com. It was a great way to start but once we knew what we were doing we needed some more freedom, the kind of freedom that WordPress.org offers. So, we got our site transferred onto the servers of Siteground.com (our current hosting) and cannot be more satisfied with the service and customer support now. TIP: If you plan to switch to a new hosting, the guys at Siteground.com will even offer you a discount if you sign in using this affiliate link. You’ll get a great deal and in exchange we will get a part of our hosting costs for free too. It’s a win-win deal! Let’s say you chose a WordPress.com installation but now you’re ready to fly solo. Fear not, you can still switch to the more daring WordPress.org and take your blog with you to the next level. You can move to WordPress.org by yourself for free or get the guys at WordPress.com to assist you with a guided transfer to WordPress.org for a fee. We chose this last option when we were ready and are damn glad we did, not only for our peace of mind but because at that time we had no idea where to start. Or maybe you feel WordPress.org is too much hassle for you and would love to go back to WordPress.com? Also in this case the most cost-effective way is to do it is by yourself or you can have the happy engineers at WordPress.com assist you, again for a fee. Question #4 – Is the layout of the website irrelevant? Unless you’re blogging just for the sake of it you’ll want that your voice (so, the posts of your blog roll) reaches as many readers as possible. If this is the case, make sure your site layout makes it easy for new visitors to reach your blog. 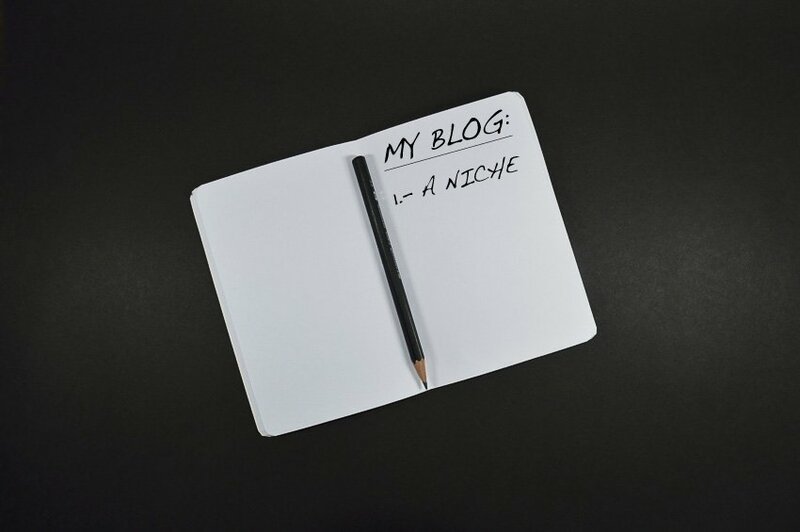 TIP: The best in this case is to make your blog the landing page of your site but you can use many other strategies to get the visitors to discover what your blog has to offer. Think of a ‘Recent posts’ section in your home page for example. When we designed our site, we decided to add a landing page with a menu and links to our blog and photographic gallery pages. At that time that looked like a great idea. The problem? We kind of forgot to use a clear call to action (CTA) and most of our new visitors now do not quite know what to do and leave us without even trying. 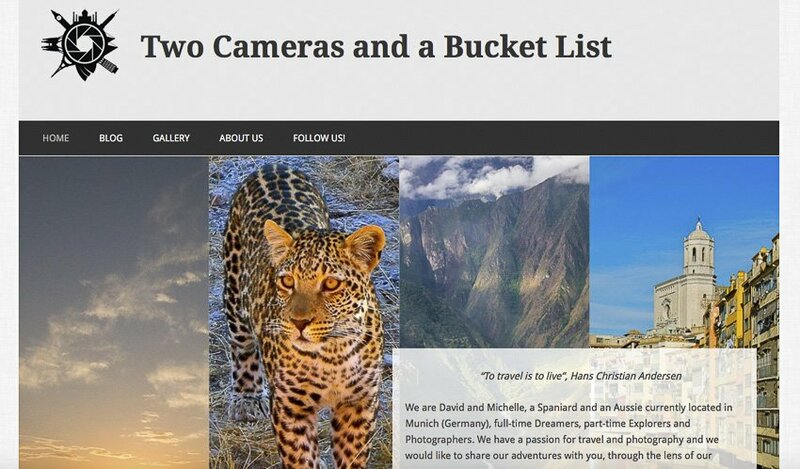 That’s why we are now redesigning Two Cameras and a Bucket List. Stay tuned, you’ll love our new site! Question #5 – But how do I develop my site? In the old times you needed to deal with HTML, CSS, PHP and other very imposing acronyms to build your website. But today? Today it’s a much easier business. If you start with WordPress, you’ll be easily building your site by putting together some pages and writing posts for your blog roll. WordPress has already a pretty good online visual and text editor for either type of content that’s easy enough to use both online or in any of the apps. Any change you make from your administrator panel will immediately take effect online, no need to push the changes. You can go ahead and make your updates cowboy style (yes, this is a thing) directly online and hope nothing will go wrong. If you choose this path, you better discourage search engine indexing until you’re done or activate a “Coming Soon” page so that your visitors do not see a half-ready site. The best choice however is to set up a separate staging site where you’ll be making your changes and then push them up to your live site once you’re happy with the results. For that you can choose a local development environment or even better a separate sub-site in the same hosting that serves your live site. TIP: Too much hassle? WP Stagecoach offers staging services for WordPress sites. You’ll only have to setup an account with them, install their plugin in your live WordPress and they’ll take care of setting up the staging site for you and pushing all changes back to live when you decide to. Pretty neat, right? Question #6 – Does the post title really matter? The short answer is: Yes, it matters. And a lot. The long answer is a bit more complex. If the title of your post is not appealing enough your blog visitors will not go and click to read its content. 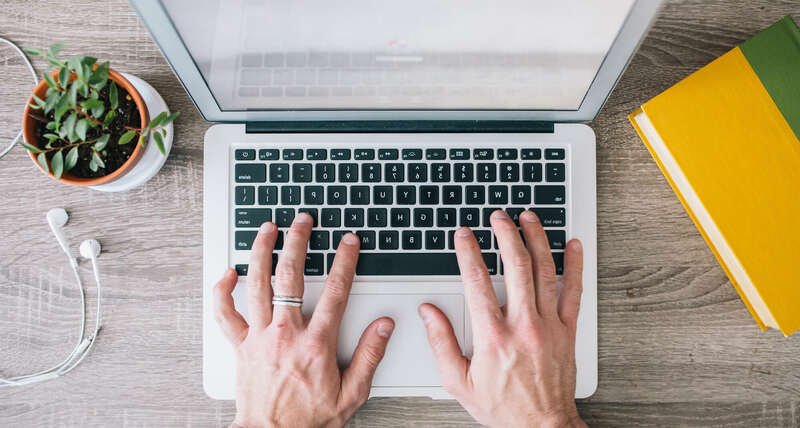 There is a whole world of theory out there about post title writing and how you can make this part of your content more attractive. Long story short, you want your Emotional Marketing Value (EMV) to rank as high as you can. 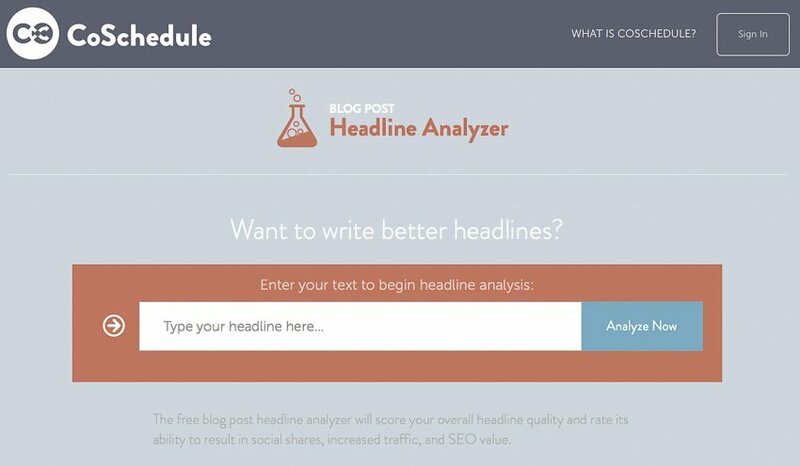 Write a few options for your next blog title and see how different they rank here or here. You’ll soon realise how powerful words, lists or questions in your title really have an impact on your EMV. During our first year we were a bit reluctant to use lists and questions, we could see these formats all around the web and we wanted to stand out. TIP: Try and see if lists or question formats work for you. Or have a look at this post by Nathan Ellering at CoSchedule if you need more ideas. Don’t overwork them though, just keep exploring and stay original. Are you not yet convinced of how vital well-crafted post titles are? We get it, sometimes we also need more data to believe. Head over to onlyonemike.com and let Mike tell you one or two things about what does and does not work in his researched post here. You could think of the title as the fragrant smell of honey that lures flies into the sticky trap. However you don’t want the relationship with your visitors to end there, you want them to become returning readers and you won’t get them back unless you write great original content, which takes us to the next item on this list. Question #7 – Does the quality of the content make a difference? With interesting and original content you’ll keep your visitors coming back again and again. Write boring, outdated or unimaginative stuff and you’ll not hear anything in your site other than the sound of crickets. Write about what you’re most passionate about and keep your audience in mind at all times when choosing the topic, vocabulary and register. Remember that your readers might or might not have English as their mother tongue (as this one Spaniard writing right now wink). Most of all, don’t forget to be yourself! If you have a day job and do not have much time to blog, you might want to write mostly evergreen content that you can share again and again, but keep a bunch of seasonal posts at hand to bring in some more readers for special occasions such as Christmas, Father’s/Mother’s Day or the first day of summer for example. TIP: You’ll be told that content is king! And it is! But in our experience, you should not only mind the content but also make sure to put it in a form that is visually appealing. A beautiful site and carefully selected images in your posts will attract more returning readers unless the service you offer is already very attractive in itself. Question #8 – Where do I get images for my posts? First of all, why should I use images in my posts? Using images to support the points you make in your content will increase your credibility and add to the overall message. Besides, you’ll be shared in Facebook and retweeted in Twitter more often. If you like to snap away and are good at it you should use your own very best photographs in your posts and in general around all your blog. A creative unique touch can take you a long way when it comes to setting your site apart from the crowd! For those rare times when your photo library does not cover that topic you want to write about in your next post or for when you’re looking for something very specific, high quality stock photography is the way to go! Scroll down to the bottom for a couple of stock photography sites we like to rely on, or head here for a listing of quite a few more. Whatever source you use, keep a good balance between the content you write and the pictures you add, which should always support your message. Remember that content is more likely to be shared if accompanied with images. TIP: If you’re starting with your blog now or are looking at giving an overhaul to your old one, you might want to consider making it Retina display ready so that it looks gorgeous even in the newest Apple displays. This is a little more effort, yes. But it will pay off in the long run! Question #9 – How can I get more engaged traffic to my blog? If you have just started blogging you might be really worried about that visitors flat line in Google Analytics. We all have been there. It takes time to build up some traffic, at least until Mr. Google, Yahoo or Bing realize your site exists and it’s worth enough to send their robots over to crawl your content and start ranking. 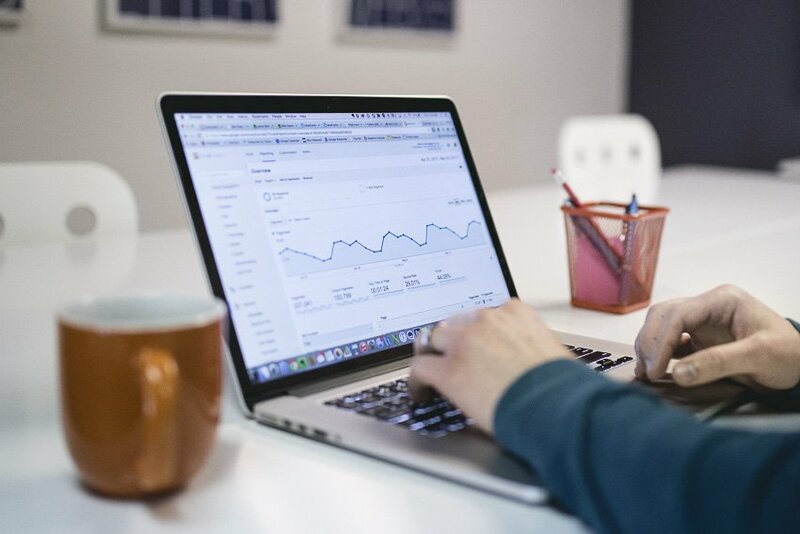 At this point, your links will appear in the search results (more or less often, depending on how you rank) and you’ll start getting that such valuable organic traffic that will keep all your stats, your ego and your business up! Of course you can help the process. First of all, as obvious as it sounds, make sure your site is enabled to be indexed. Also add a site map to your blog, which you should already have by default if you use WordPress.com, and make sure your site is search engine ready. More on this in the next point. 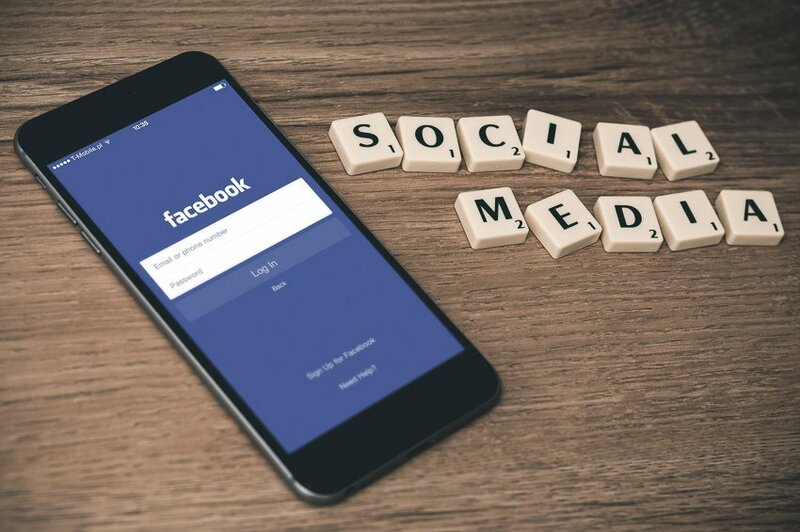 Another option you have to increase your traffic is to share your content in your social media pages and make sure your posts and images are shareable. We started sharing on Facebook, Twitter, Google+, Tumblr and Pinterest! However after a year we ditched Google+ and Tumblr as they didn’t do much for us, and started building an audience in Instagram. Whatever social network you choose, make sure it is compatible with your niche! TIP: And why not grow an email list and use it to send out periodic newsletters? All these are good ways to reach out to readers that are interested in what you have to say. Just remember not to be spammy! Whatever you do, just hang in there! And remember you don’t need to pay for traffic regardless of how attractive this might sound. Search Engine Optimization, SEO for short, is the biggest unknown when you step into the blogging business, closely followed by keyword research and backlinking. I’ll not bore you here with a lengthy explanation of what SEO is and what it can do for your site. There are a lot of bloggers out there specialized in the topic that will do a better job of walking you through the secrets of online marketing. You’ll learn a good deal from Ramsay at Blog Tyrant or Brian at BacklinkO. At this early stage you simply need to know that SEO can put your blog in the first page of everyone’s search results or send it to oblivion if not done properly. But how do I do SEO in my blog now? There are some very recommendable plugins out there that will help you with that and teach you some tips and tricks in the process. TIP: As a newbie I loved to use Yoast SEO for its clarity and simplicity. Now I love it even more because it comes with a tonne of customisation options. Sure! Quality content and images are a good start for a successful blog but it will not be enough if you want to be AT THE TOP. SEO will take you a step closer to glory! Question #11 – Do I really need a backup for my site? If you got here you must know by now that starting a blog takes some time and a good deal of effort. After investing so much time and effort in your site it will be as precious to you as gold. Don’t even think about it for a second, go and back it up NOW! If you were writing a book, would you make a backup of it? You would probably make several copies of it and keep them in separate places, RIGHT? Same happens here with your blog! Your hosting might already back up your site regularly or at least a part of it. How regularly depends on the hosting service and the plan you choose. But you should backup every time you make a change or add new content. Just don’t be another dot in the statistics and back your site up! Bonus Question #12 – And now what? Now you’re ready to go and try for yourself! To finish up, I’ll leave you some resources from which we learned A LOT and to which we like to fall back on from time to time, for blogging tools, blog marketing and promotion, SEO, site design, graphics design and stock photography. CoSchedule – CoSchedule is a social media content scheduler with a plugin available for WordPress too. It is a premium-only service but its blog comes loaded with amazing not-to-be-missed tips on online marketing. Buffer – Buffer is also a social media scheduling service with free (limited) and premium plans. Basically you send your content to buffer and it will hold everything until the best time comes to post in your linked social accounts on Facebook, Twitter, Google+ and Pinterest (this last one is a premium feature). 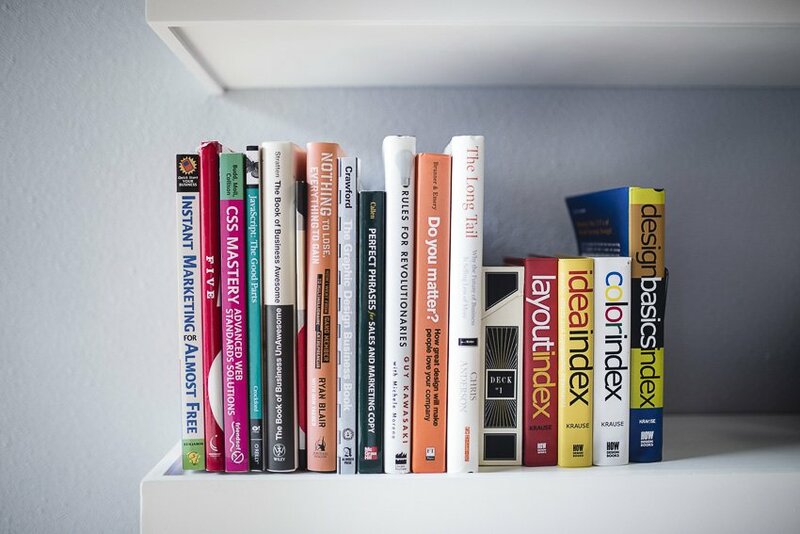 Also the blog in Buffer is packed with online marketing and design tips. They even offer access to their own online photo editor -Pablo- to create your original social media images in a moment. TIP: Combine Buffer and IFTTT for a flexible and time-saving way to share your blog content in the social media. Good bye Publicize in Jetpack! Hello smarter content scheduling for free! Blog Tyrant – Ramsay at Blog Tyrant was the first influencer we followed and are still learning so much from him. Blog Tyrant is a great resource for SEO, online marketing and everything you need to start your own blog! BackLinkO – BackLinkO is one of the most popular blogs on SEO and back linking. Pixabay – Pixabay is your first stop for free stock images and video under Creative Commons CC0 license. 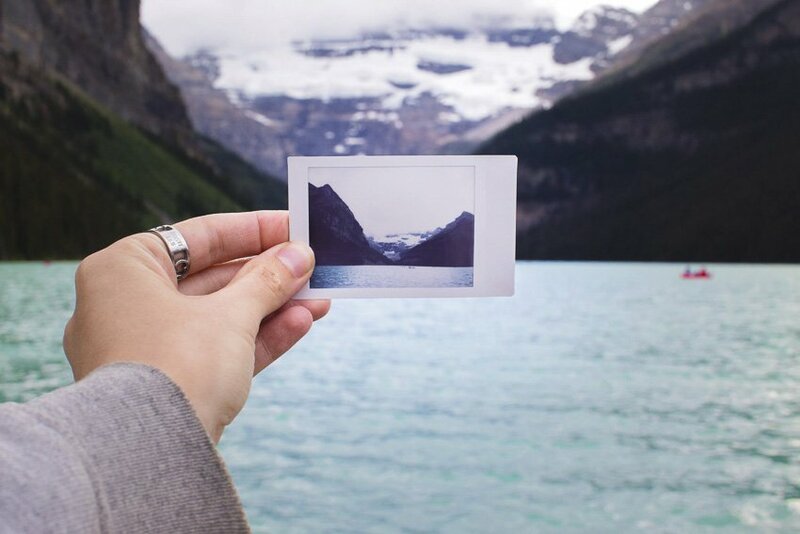 StockSnap.io – StockSnap is also a great source of free images that you’ll be able to use for your blog without attributing the source. Also, they have an online image editor with a free limited account that might be perfect for you! What wp theme is that? – This online tool will tell you what theme and plugins are used in the in any WordPress site. I really hope this post helps you in your beginnings. Most of all, remember that it takes a while and a load of patience with a good pinch of perseverance to build an audience and get your own blogging voice. Stick with it and see you around! 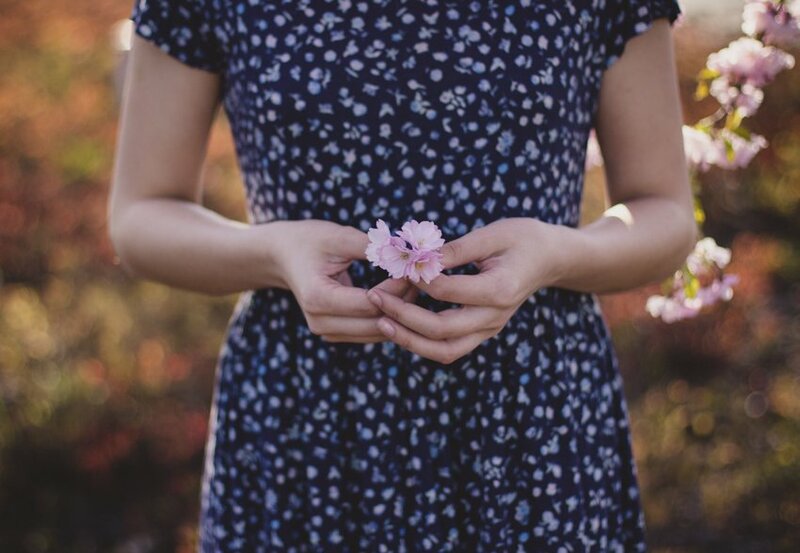 7 Comments on “11 Embarrassing Questions From Our First Year Of Blogging [ANSWERED]”. Join the Conversation Here! You’re right Leanne! Best way to get started is head first. After that, we all can use any help we can get. Well, we needed A LOT of help, I tell you ? Thanks for a great list of ideas of which I already do about 0001%! Lots of work to do based on your ideas. Okay, trying again after the spam bot decided I was dangerous! Thanks for a great list, of which I probably already do about 1.1%! Lotsa work to tackle. Hey Shirley! Glad you find this post interesting! What would that 1.1% be? Just implement one tip at a time and see what works for you, don’t get too crazy there. And of course share the results with us ? Good info and all right on point! We all had these questions in the first few months of blogging!